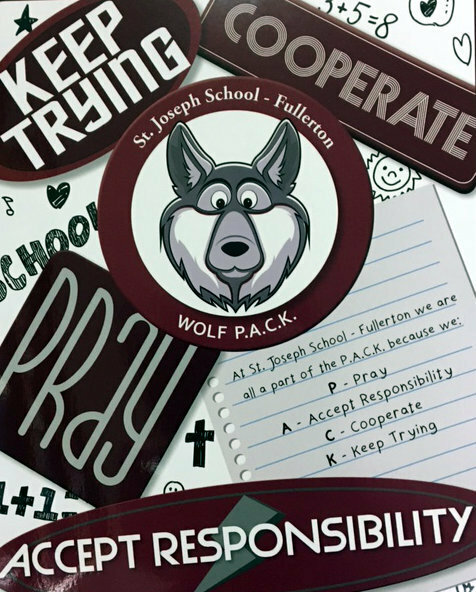 St. Joseph School follows the positive reinforcement plan set by the Maryland PBIS Team. PBIS is the Positive Behavior Intervention System. The program places the focus on acknowledging the positive behavior that students are exhibiting in the classroom. We encourage this each day on the morning announcements, as well a frequently throughout the year as recognition is given. Bullying, harassment, or intimidation of any student on school property or at school-sponsored functions or by the use of electronic technology is prohibited in all Archdiocese of Baltimore Schools. Such behaviors are contrary to school life in a Christ-centered community, which respects the dignity and uniqueness of all of God's children. To foster a school environment where all students are educated in a safe and caring atmosphere, all Archdiocesan schools will follow established procedures for prevention and intervention. Students, parents, employees, and service providers are responsible for reporting incidents of bullying, harassment, intimidation, or retaliation. A standardized reporting form is available on the AOB website and from the School Office. School principals will ensure that all illegal behaviors are reported to the appropriate local authorities and the Superintendent of Catholic Schools immediately.